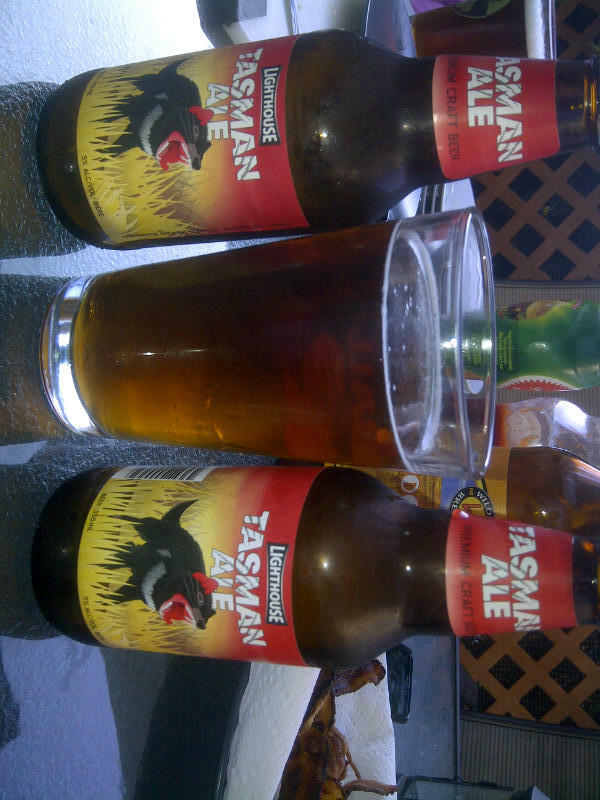 From Victoria BC comes the “Tasman Ale” brewed at Lighthouse Brewing. The beer pours a deep amber colour with a very small white head. The smell of the beer consists of both pine and hops with a small citrusy aroma. When tasting the beer you will taste citrus and pine with a slight hops bite. This is an average 5% alcohol beer. This is a 6 pack worth the pick up if you like good craft ales. If you do not buy it the Tasman will bite you! This entry was posted in Ale and tagged bc, beer, canada, citrus, hops, lighthouse, pine, tasman, victoria.